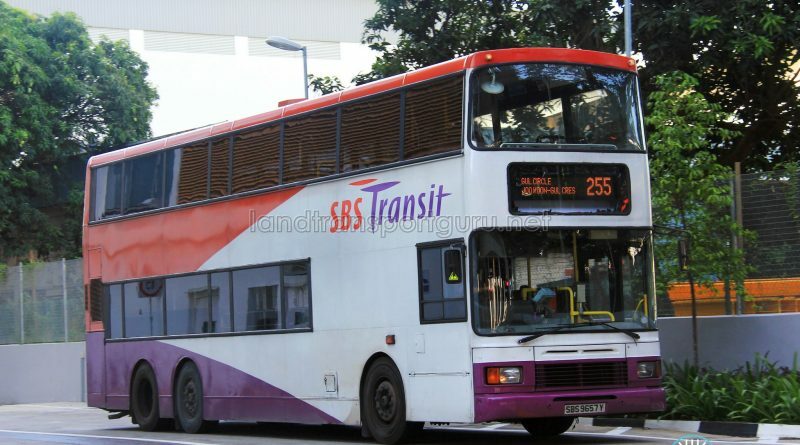 SBS Transit Bus Service 255 is a Jurong Industrial Service running from Joo Koon Bus Interchange and looping at Gul Crescent, passing through Pioneer MRT, Pioneer Road North and Benoi Sector. 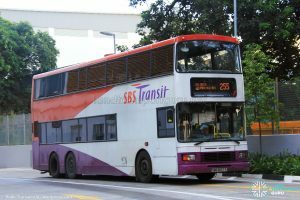 Service 255 operates at a reduced frequency of 25 – 30 minutes per bus during Weekday off-peak hours, as part of the On-Demand Public Bus trial. Service 255 serves the industrial areas around Gul, connecting them with Joo Koon MRT and FairPrice Hub. As part of Phase 3 of the Joo Koon Bus Interchange Opening Route Amendments, Service 255 was shortened to Joo Koon Int via Benoi Rd from 12 December 2015. 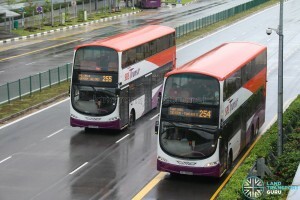 The deleted route sector along Jurong West St 63 and Pioneer MRT Station was replaced by the amendment of Service 192 while the deleted Benoi Sector sector was replaced by new Service 253. Operating hours were pushed back 15mins as the traveling time from Joo Koon to Gul Circle is faster as compared to from Boon Lay. 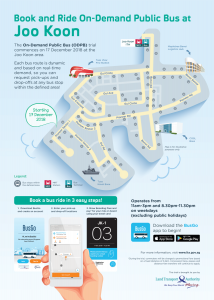 To facilitate the ODPB Trial from 17 December 2018 to 14 June 2019, Service 255 operates at a frequency of 30 minutes during off peak hours in the afternoon and 25 – 30 minutes during off peak hours in the evenings on Weekdays (Except Public Holidays). 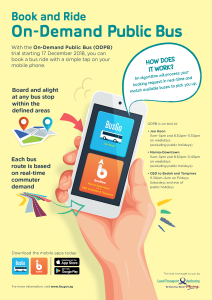 Commuters may book an On-Demand Public Bus (On-Demand Public Bus – Joo Koon Area) through the BusGo app. 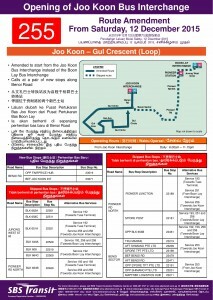 1990 (01 Jul): Amended to Boon Lay Int – Gul Crescent (Loop) when Jurong Int closed. Express sector along Jln Ahmad Ibrahim abolished. 2015 (12 Dec): Amended to Joo Koon Bus Interchange via Benoi Rd. Deleted sectors replaced by Service 192 and 253.